Let’s stop kidding ourselves: Rio will never be safe. The violence can only be contained, and only through random good fortune. I’ve seen it from both sides: with the cops in body armor and with the drug traffickers who control the favelas, blowing the life expectancy graph if they pass 20. How solid is the business, really? We often think of the drug trade as monolithic bad guys who are just there, who may fight among themselves, and change address with the arrival of a police pacification unit, but whose methods and overall grip are an urban constant. But, according to a former top police commander cited in the AP story, “dealers turned to crack when their other business started losing ground within the city”. Some specialists say the traffickers’ grip was weakening long before the advent of pacification. One analysis points to the rise of synthetic drugs such as ecstasy, sold by middle class dealers– driving lucrative cocaine out of favelas– as the real reason crack-selling (and thus using) spread here. There seems to be no consensus narrative for the carioca drug trade, and many unanswered questions. For example, how are the capos now swearing off crack making a living? Are they earning more from marijuana? Has marijuana increased in price? Is demand for it growing in favelas, as residents’ disposable income has (presumably) increased? Is it growing in the formal city as well, for the same reasons? What’s the effect of pacification on drug prices? And then there are the actual people involved, aside from the traffickers themselves. If before pacification thousands of young people in favelas spent time working in the drug trade and/or using drugs, how are they spending their time after pacification? Police pacification units now serve 600,000 cariocas. Folks from outside favelas usually don’t associate work with people who live in favelas. So much so that the first sentence a uttered to the media or police in defense of a resident who’s just been shot dead by cops, as if to disprove the assumption, is often “Ele era trabalhador!” He was a worker. But Julio Ludemir, a writer who has long worked with favela youth, says that favela parents have traditionally exhorted their children to find jobs and make a living as soon as they’re able. In this post about passinho dancers whose creativity depends on Internet interactions, he explains that today, for the first time ever, many young favela residents have the luxury of dreaming and experimenting, as middle- and upper-class kids do. There are 108,000 Lan houses, or cyber cafés in low-income neighborhoods, in all of Brazil, according to Eliane Costa, until recently responsible for culture grants at the Petrobras state oil giant. By contrast, National Book Foundation statistics for 2007 indicate a total of 5,110 libraries across the country. Could it be that a growing number of favela youth are doing exactly what a growing number of middle- and upper-class young Brazilians are doing? In Rio, people with experience like that of Ludemir say favela youth are surprisingly tuned in. Beá Meira is teaching coordinator at the Universidade das Quebradas, an arts and culture extension of the Federal University of Rio de Janeiro targeted at low-income students. 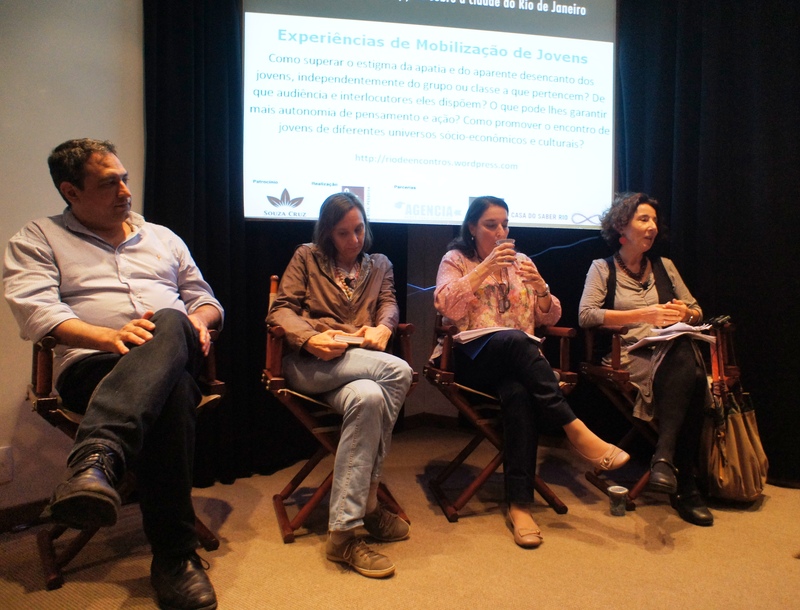 At last week’s Rio de Encontros debate on youth mobilization programs, organized by O Instituto and the Agência de Redes para Juventude at the Casa do Saber, she reported that these young people are conversant in a variety of media. “They edit video, write poetry, take photographs– they see art as belonging to everyone, part of everyday existence. They don’t ask permission, they just do it,” she said. “The favela, as [Agência Redes para Juventude creator and director] Marcus Faustini likes to say, is a place of power, originality, solutions,” remarked Eliane Costa during the same meeting. She’s now dedicated to a doctorate at the Sorbonne, on digital and peripheral culture. “I never imagined I’d be working with a street-sweeper,” commented Vera Íris Paternostro, who directs a new Rio, São Paulo and Brasília venture at TV Globo, in which 44 young people (selected from 12,500 candidates, no less) this year reported on their own low-income communities. The reporting resulted in 150 solutions to community complaints– and, says the tv executive, changed the way Globo reporters and editors think about their coverage. Paternosto pointed out her street-sweeper/reporter in the Rio de Encontros audience, then stumbled over the name of a youth also present, “Petter MC” the “Rappórter”. Petter, who lives in the bedroom city of Nova Iguaçu, had his own blog before reporting for TV Globo. Now he’s on the staff of Esquenta, a popular Sunday afternoon Globo offering. Young people from the Agência Redes para Juventude were also present at the debate. Last year, 300 young residents from pacified favelas transformed ideas into projects. 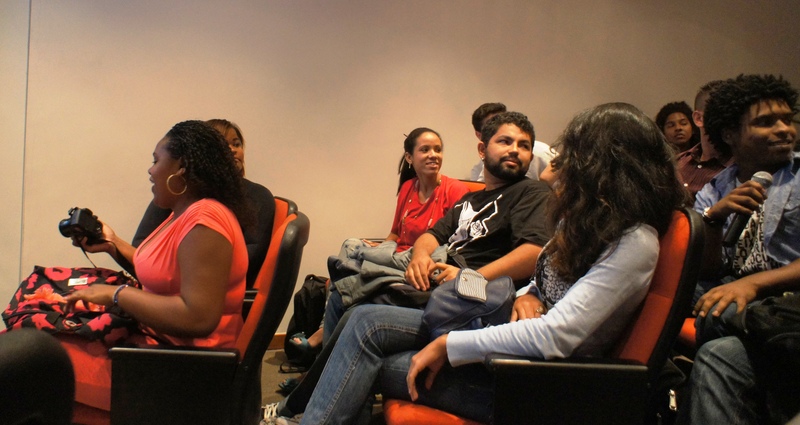 The thirty chosen to receive R$ 10,000 from Petrobras and implement the projects are now competing for additional funding, with development help from Sebrae, a non-profit small business entrepreneurship agency, funded by federally-mandated payroll deductions. Agência activity focuses on building networks across the city, both real and virtual, as a crucial step towards making ideas happen. It’s hard to quantify the aggregate reach of the many programs in Rio that aim to mobilize young favela residents. Those discussed last week are relatively small, though over a thousand young people have just applied to the Agência’s new round of project development. But thousands are still peanuts, considering that in 2010 the state of Rio boasted a total population of 16 million, with almost 3.5 million of school age. Greater Rio accounts for three quarters of the state’s overall population. As Rio attempts to integrate its formal and informal urban areas, lessons and models are in the making. Brazil’s 1970s-1980s baby boom is peaking now, with the 15-29 age cohort just starting to decline in numbers. It can be said that the future of Brazil’s poor youth will in large part determine the country’s own future– just as American baby boomers influenced so much of their country’s politics and culture. Whether or not increased access to information and technology weaken the drug trade and empower young people in favelas on any significant scale, the youth mobilization now taking place in Rio de Janeiro brings up some thorny questions, as do the young people themselves. 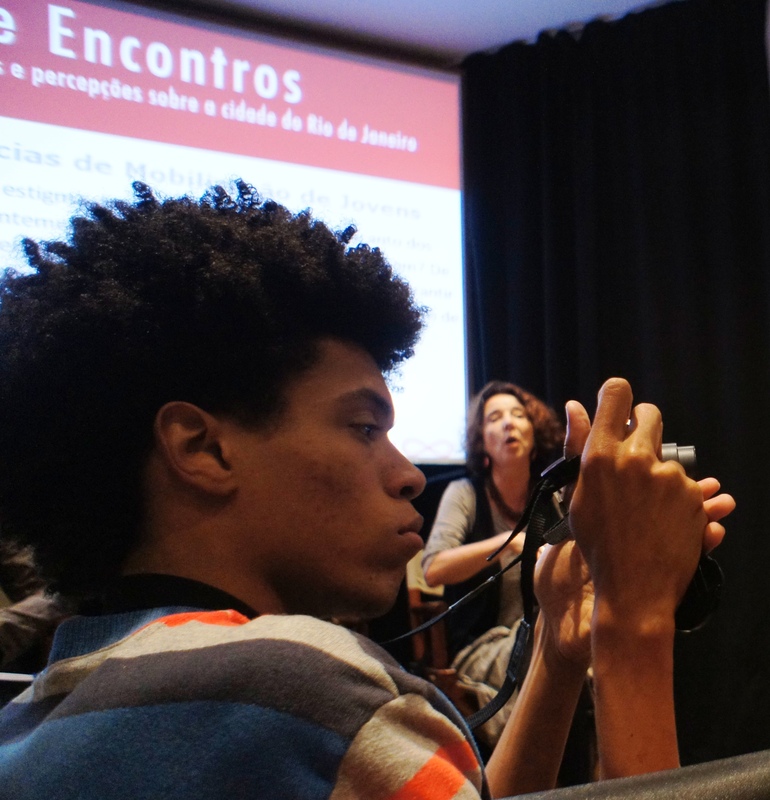 During the debate, a young participant criticized the communication and selection process for local Social UPP field agents, who are mapping Rio’s pacified favelas– and naming alleyways. A young community TV entrepreneur wanted to know how he could possibly compete for government funding without a long resumé. Another participant fretted about program continuity; and a fourth’s question about the Social UPP program and police behavior brought on a tirade on the ban against nighttime funk dances in pacified favelas. “[Police rule on this issue is] a quasi-dictatorship,” said a furious Junior Perim, founder of the Crescer e Viver circus arts NGO. And so ends a post that asks more questions than it answers. Please comment! And don’t forget to follow RioRealblog on Facebook, for an endless supply of links and comments on the transformation of Rio de Janeiro. This entry was posted in Brazil, Transformation of Rio de Janeiro / Transformação do Rio de Janeiro and tagged Agência Redes para Juventude, Beá Meira, crack ban Rio de Janeiro, drug trade decline Rio de Janeiro, Eliane Costa, favela youth Rio de Janeiro, Lan houses Brazil, Marcus Faustini, O Instituto, Rio de Encontros, Social UPP, Tiago Borba, TV Globo parceiros, Universidade das Quebradas, Vera Íris Paternostro, young people Rio de Janeiro. Bookmark the permalink.